Amazing view from the balcony, good amenities, spotless cleaning. Rooms are of decent size and impeccably clean, with a fantastic view on the Batsi bay. Dora studios are just a few minutes away from the Batsi center, but due to the good position one can enjoy peaceful and quiet atmosphere of the accommodation. My wife and I spent beautiful 11 days there.. Nora and her husband are probably the nicest owners we ever met on our travels, and we sure traveled a lot. They are so kind and willing to help with tips, information or anything you would ask about your stay on this beautiful island. Also very professional when it comes to the maintenance of the accommodation and comfort of their visitors yet very relaxed, unobtrusive with a very good understanding of visitors needs. Towels and sheets are changed on the regular basis and as already mentioned, the cleanness is on the top level! very nice and helpful owners. 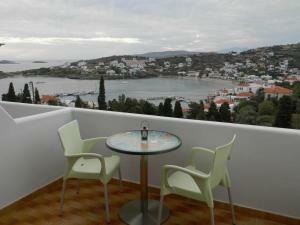 the rooms are big, calm and have an amazing view from the balcony over bay of Batsi. the beach is easily to reach in some minutes. and the bus stop is just 50 meters away, so u can reach the Golden Beach by bus. The studio appartment owners were so welcoming and lovely. They even made us chocolate cake and Greek traditional cheese and spinach pie. They were so helpful when we needed to find a supermarket, get the bus to the other side of the island and when we wanted coffee in the morning! 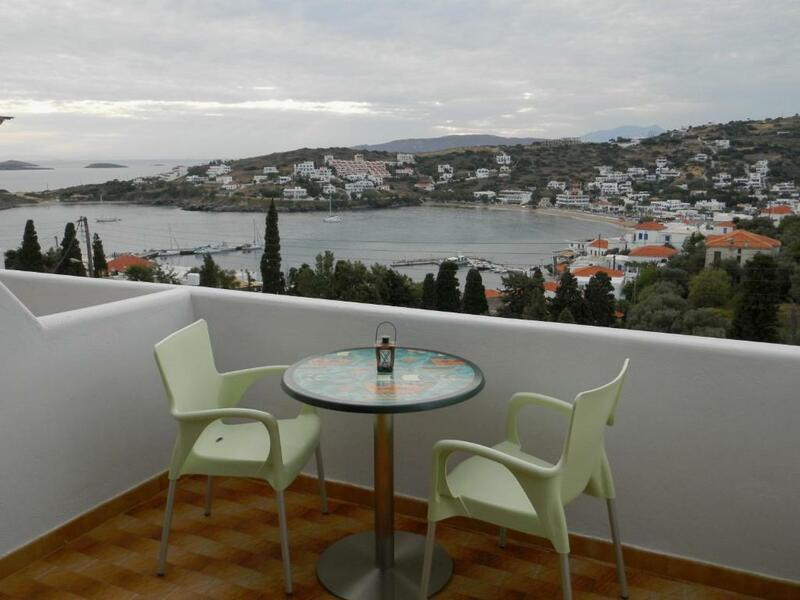 The rooms were spacious, comfortable and clean with beautiful views of the bay and the sunset. The host was very polite and hospitable. She gave us treats at the arrival and departure. 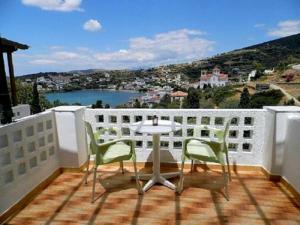 Extra clean room, large and confy with perfect view to the port of Batsi. Great location. Excellent support from the staff. Room cleaning every day. Quiet room! 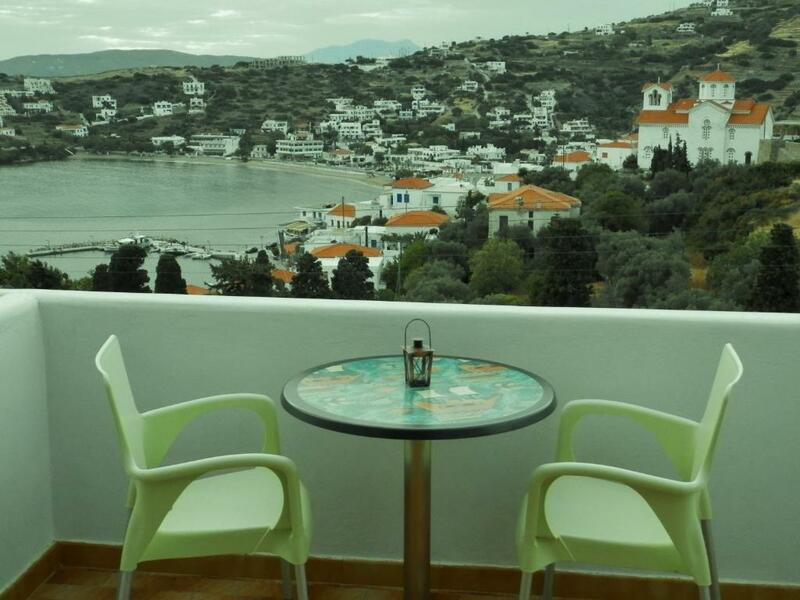 The view from the balcony was beautiful, overlooking the sea and town of Batsi. Location was great - 5 minute walk down some steps into Batsi town where there was a great choice of restaurants (most of them overlooking the sea) and a lovely beach. The hosts were very friendly and on hand to help us with anything we needed; they made us feel very welcome. Bus stop very close by too to take you to 'Hora/Andros', the island's main town. Would highly recommend this place! המיקום של המלון נהדר. 5 דקות הליכה בירידה למרכז העיירה וטיפה יותר בעליה בחזרה. הפיצוי על ההתנשפות בעליה הוא הנוף המהמם מהמרפסת. בעלי הבית מאוד נחמדים ואדיבים. ברחוב של המלון גם יש מכולת ומסעדה מקומית. החדר נוקה בכל יום מחדש, מים חמים היו כל הזמן וה-WIFI איכותי. המחיר ששילמתי היה מאוד משתלם. 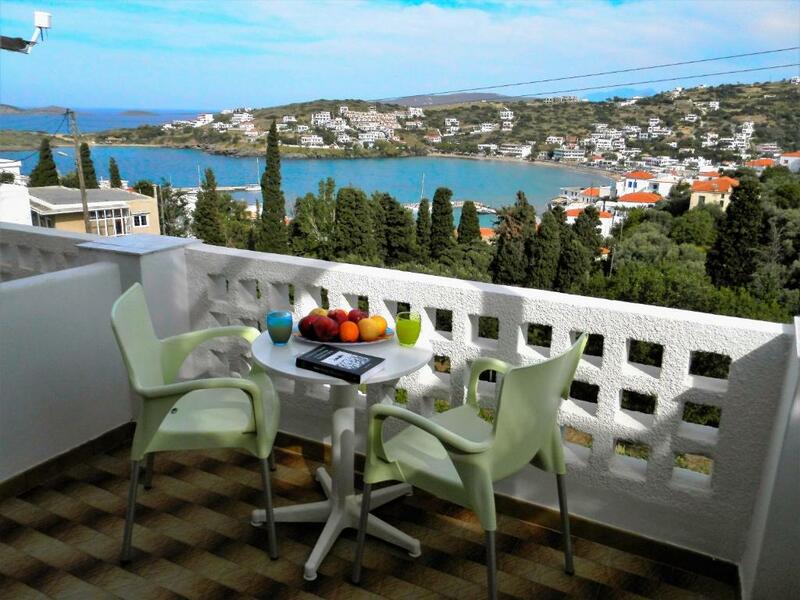 Lock in a great price for Villa Dora Studios 1 – rated 9.5 by recent guests! 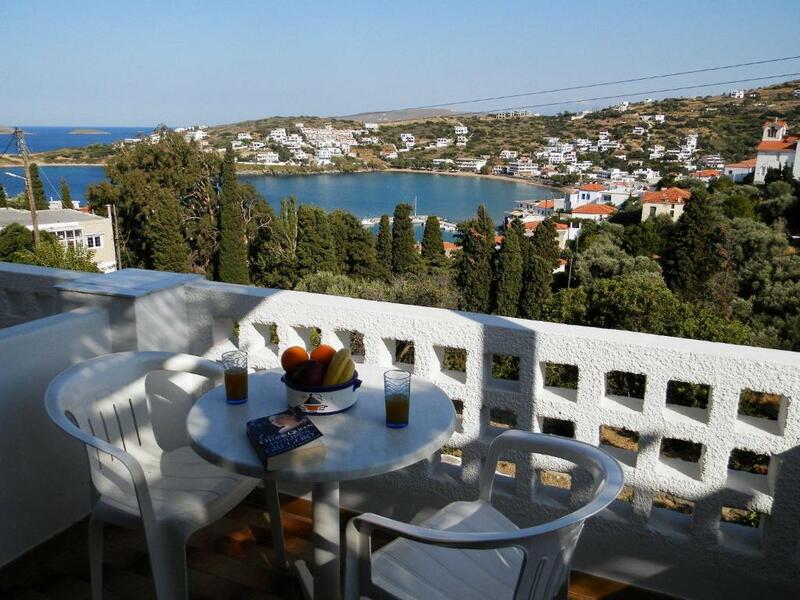 Relax in your comfortable room at Villa Dora I and admire views across Batsi and the lovely bay. Each room is well-presented and has a kitchenette for all your cooking needs. Soak up the sun on your private balcony during the day. In the evening, relax with a drink and enjoy the sunset. Just a short walk from Villa Dora I, you will find traditional Greek tavernas. 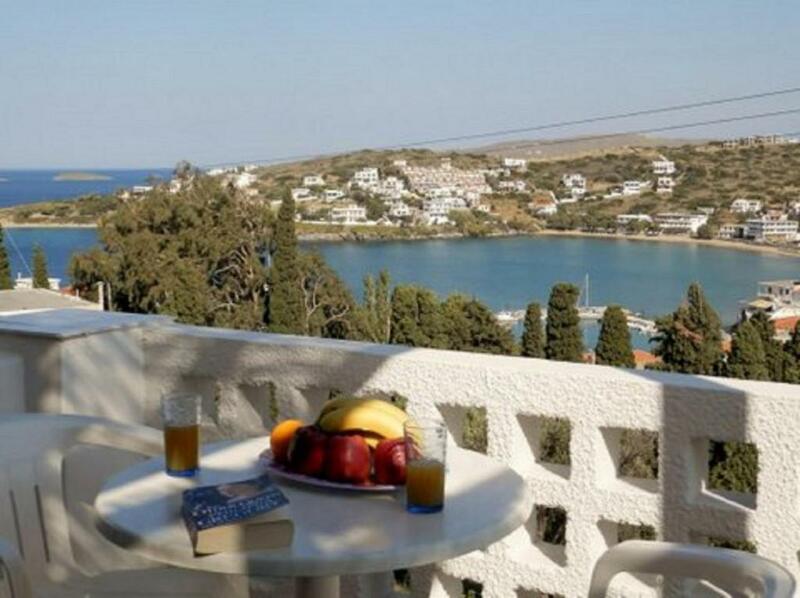 Villa Dora I offers an ideal base for relaxing and exploring Andros Island. 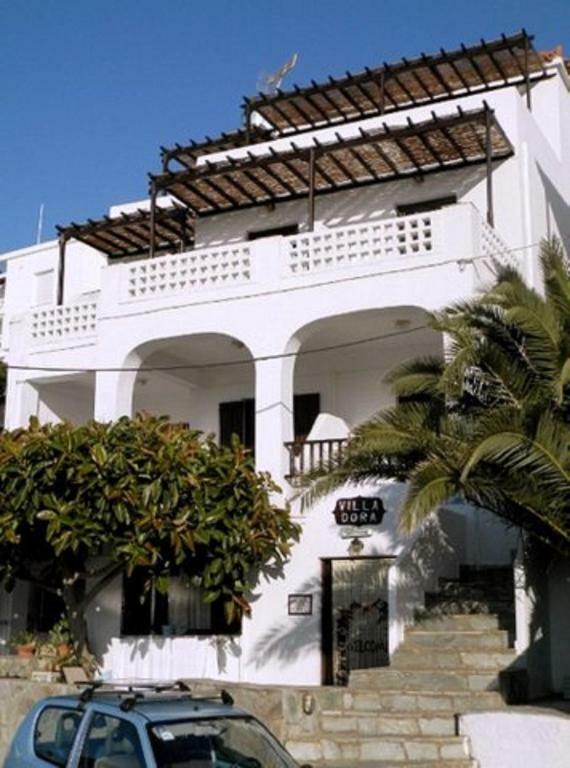 This property also has one of the top-rated locations in Batsi! Guests are happier about it compared to other properties in the area. 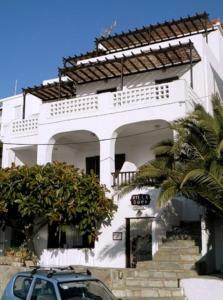 When would you like to stay at Villa Dora Studios 1? 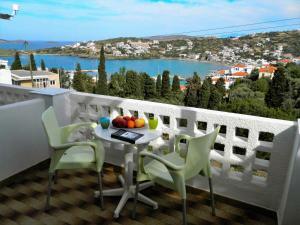 Boasting views of the Aegean Sea from the balcony, this room offers a TV, kitchenette and private bathroom with shower. House Rules Villa Dora Studios 1 takes special requests – add in the next step! Please inform Villa Dora Studios 1 of your expected arrival time in advance. You can use the Special Requests box when booking, or contact the property directly using the contact details in your confirmation. No complaints at all. We loved the short walk but bear in mind lots of steps not so good for less abled, Villa dora 2 Might be better? Nice Firm mattress if your a softy. If you want to see most of the island, secluded beaches and sights recommend a Jeep as maybe 1/2 of the roads are dirt tracks, loved this too no traffic lights, speed cameras or parking fees!!. The bed was a little hard.